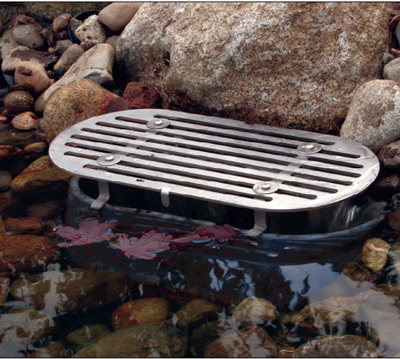 Use the stainless steel Skimmer Grate for applications with smaller organic debris. 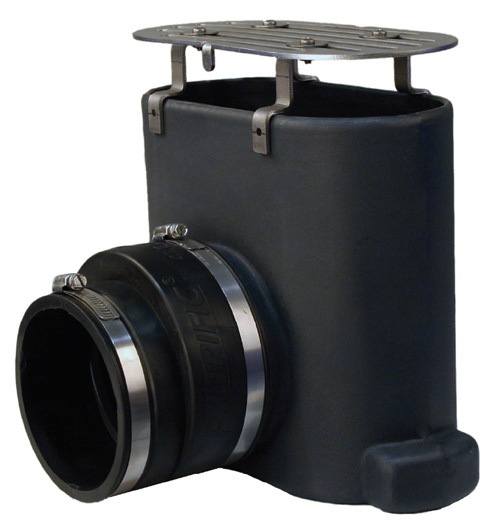 Extension Risers can be added to lift the grate off of the skimmer and allow larger debris to easily pass below the grate. 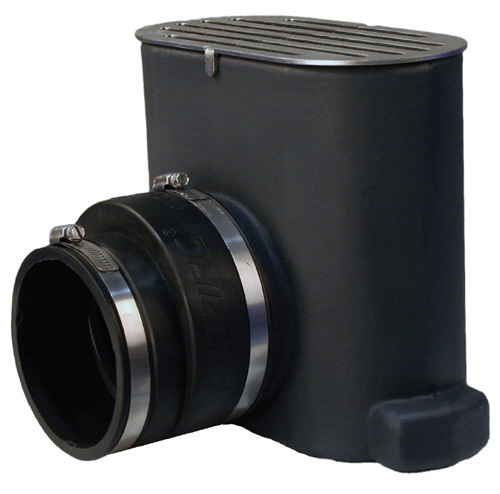 The heavy-duty Skimmer Hood supports large or small rock coverings and easily handles large leaf debris. 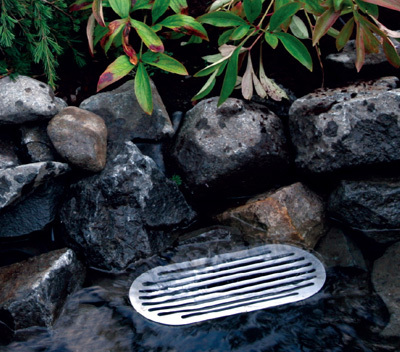 The grate allows for smaller debris to be swept off the water’s surface while adding a polished look. 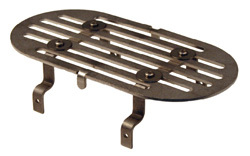 Extension risers elevate the grate to accommodate larger debris. Four self-tapping screws secure the riser to the skimmer. 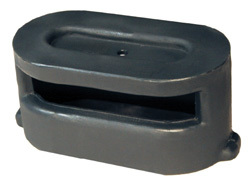 Top bolts fasten the grate to the top of the risers allowing convenient internal access of the skimmer. 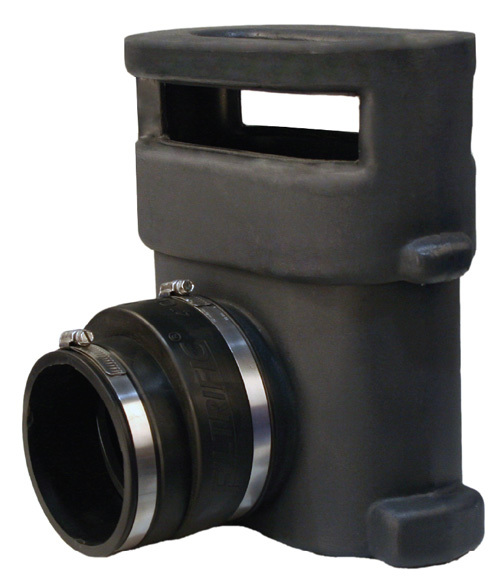 The Extension Riser allows for larger debris to pass below the grate and into the Filter Baskets. 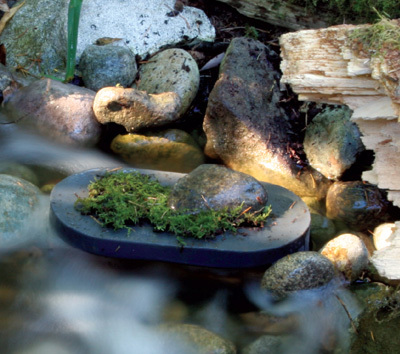 A recessed top supports large or small rock overlays and two front and back skimming windows handle large leaves and debris.